resolving a citizen lawsuit and in negotiating numerous consent agreements with EPA and state regulatory agencies. During his tenure at Star-Kist Foods, he negotiated a Consent Decree with the EPA and local authorities to construct a mile-long wastewater treatment plant outfall in American Samoa which resulted in significantly improved water quality in the Pago Pago Harbor. The project was completed ahead of schedule and under budget. He has an in-depth working knowledge of all the major environmental laws and regulations such as the Clean Water Act, the Clean Air Act Amendments, the Resource Conservation and Recovery Act, the Superfund Law, SARA Title III, and OSHA. Throughout his career, Norman has worked regularly with corporate attorneys and outside counsel on numerous environmental issues. Norman Wei's consulting experience included assignments with several major environmental consulting firms in Canada, Saudi Arabia, California and New Mexico. In the 1970s, Norman was on the environmental staff of the U.S.-Canada International Joint Commission - a quasi-judicial body responsible for cleaning up the Great Lakes. He has extensive experience in conducting environmental compliance seminars for corporate executives, plant managers, supervisors and production staff. Over 3,000 environmental professionals throughout the country have attended his seminars. 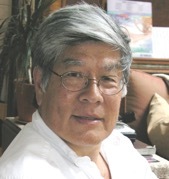 Norman Wei served on the editorial advisory board of Business and Legal Reports and was a contributing editor for the Pollution Engineering Magazine where he wrote a “practical management” column every two months. He has also contributed many environmental compliance articles to Business and Legal Reports. He currently serves on the Editorial Board of the Environmental Claims Journal. Norman writes an environmental blog at http://normanswei.wordpress.com. This is where readers can obtain the latest up-to-date information on environmental news and compliance guidance. This book reflects his 40 plus years of practical experience as a corporate environmental manager and consultant. Norman holds a Master’s Degree in Environmental/Civil Engineering and a Bachelor’s Degree in Electrical Engineering from the University of Toronto. He lives in Cape Coral, Florida. He is an avid scuba diver and his hobbies include both aerial and underwater photography. He is available for consulting and training via email and webinar. Norman can be reached at 360-490-6828 and norman@proactenv.com.